Add time to Job and/or Task - Mobile – Welcome to the NextMinute support and feedback centre. 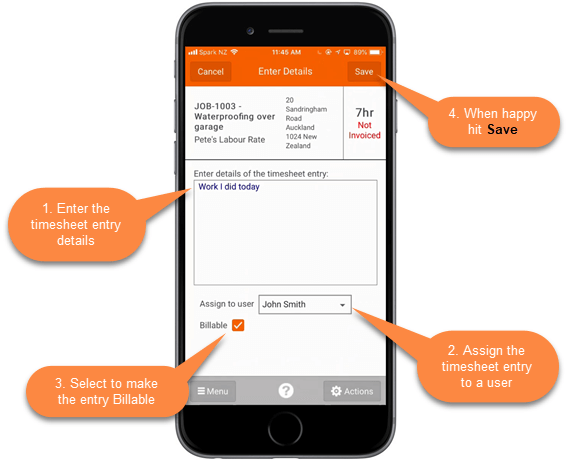 In this article we take you through the steps of adding a timesheet entry to a job and/or task on your mobile. In this example we are adding a timesheet entry to a job but it is exactly the same within a task. Note: If you will not see pricing if this has been switched off or you. The Timesheet entry will show against the Job and your Timesheets.